If you could help someone in pain, would you? Evan is a nurse, a suicide assistant. His job is legal . . . just. He's the one at the hospital who hands out the last drink to those who ask for it. Evan's friends don't know what he does during the day. His mother, Viv, doesn't know what he's up to at night. And his supervisor suspects there may be trouble ahead. 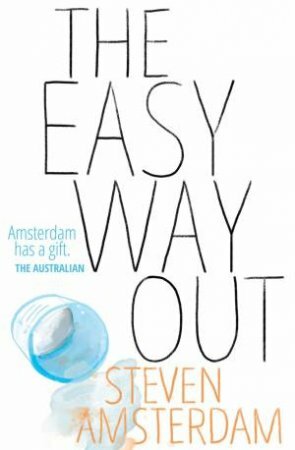 In this powerful novel, award-winning author Steven Amsterdam challenges readers to face the most taboo and heartbreaking of dilemmas. Would you help someone end their life?